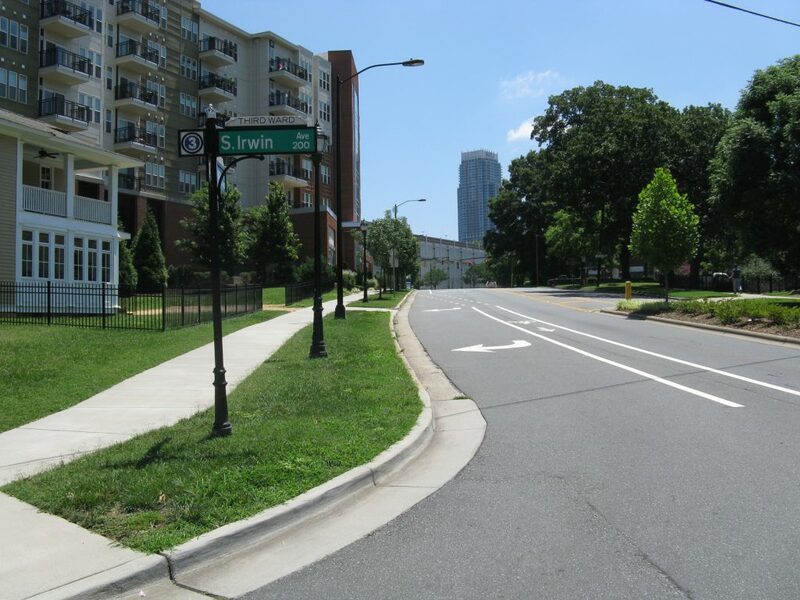 The project included enhancements to two key intersections in the Johnson & Wales University (JWU) area of Charlotte to make these intersections safer for all modes of travel. 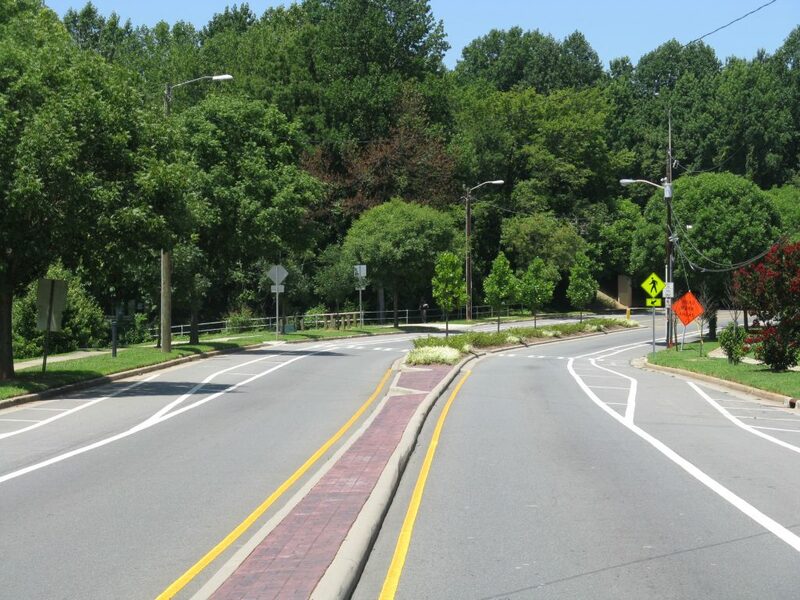 The project included the review of land use plans; pedestrian, bicycle, and automobile traffic patterns; and traffic projections to develop concepts to make the area safer for drivers, pedestrians, and cyclists. Pedestrian safety improvements included refuge islands, crosswalks, curb extensions, signals, and sidewalks. 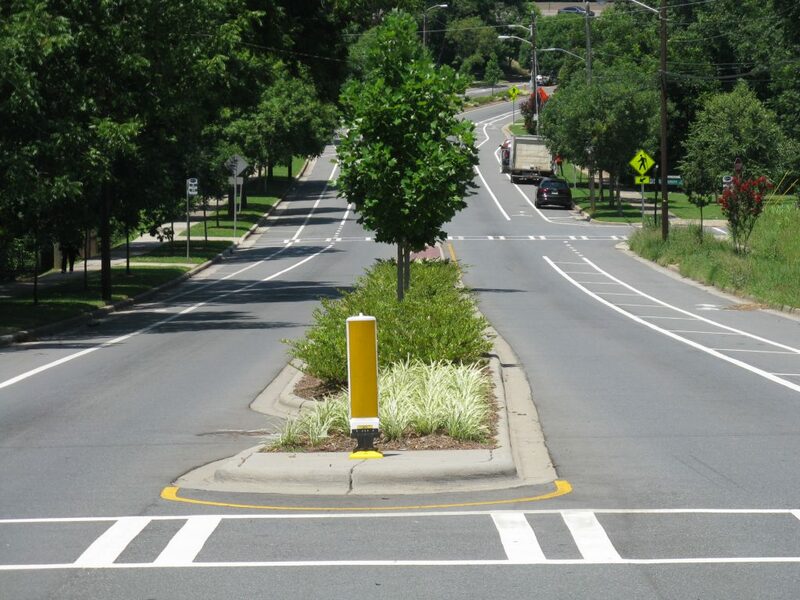 American Engineering staff used the City of Charlotte’s six-step Urban Street Design Guidelines process to document existing and future land uses and traffic patterns, identify deficiencies, develop concepts for improvements, and prepare cost estimates. The project realigned Johnson & Wales Way with its intersections at 4th and Trade Streets to eliminate the free flow right turn lanes and create safer points for the growing number of JWU students and faculty. Design options were considered, and level of service analyses for vehicles as well as pedestrians and cyclists were completed. The planning phase also followed the Center City Transportation Plan and required coordination with NCDOT to review potential traffic impacts to the I-77 interchange at Trade Street. Photoshop rendering and 3-D animation were used to present proposed improvements at public meetings. The project included sidewalk construction & intersection improvements design to improve safety & level of service for pedestrians and bicyclist.